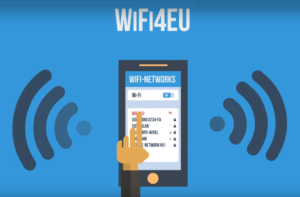 The European Commission has recently launched the Wifi4EU web portal, where municipalities or association of municipalities from across Europe can register to receive financing for the installation of free wireless internet hotspots. The first call for projects will be launched on 15 May 2018 and is open to municipalities and entity acting on behalf of municipalities (see the list of eligible entities here). Registered municipalities will be able to apply for Wifi4EU vouchers (worth 15,000€ each) that will cover the equipment and installation costs of Wi-Fi hotspots. These vouchers will be distributed on a first-come, first-served basis ensuring a geographical balance across Europe. €15 million has been set aside for this first call while €120 million has been allocated until 2020 to fund equipment for public free Wi-Fi services in 6,000 to 8,000 municipalities in all Member States plus Iceland and Norway. Beneficiaries commit to pay for the connectivity (internet subscription) and maintenance of the equipment to offer free and high-quality Wi-Fi connectivity for at least 3 years. Euromontana encourages its members to register ahead on the web portal and apply as soon as possible to receive a voucher.